Come on in and have a nice sit. These are stressful times—work-life balance has turned into work-work balance, social media mainly consists of angry ghosts screaming, and the planet probably wants to break up with us. I believe it was the philosopher Nietzsche who wrote, “If you gaze into cable news, cable news also gazes into you.” I could be wrong about that, but the point is: Don’t watch cable news if you can help it. Which is why I endorse something called “human burrito time.” It is an ancient self-care ritual passed down through the ages. When I’m feeling burnt out or overwhelmed, I wrap myself in a blanket and plop down on my bed. Then I lie very still for a long time. It’s comfy. This is friendly advice from me, an expert in taking good care of myself. Even if I don’t do it perfectly. So this is Woolly. It’s a new print and digital publication about comfort and bubble baths and soup and the various ways we rest, relax, and recharge. 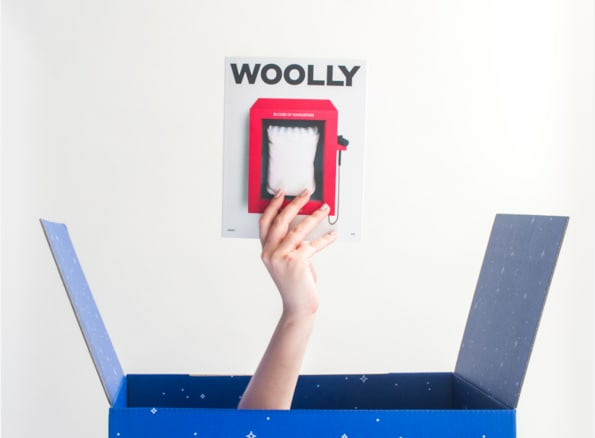 In the coming weeks, months, and years—decades, really—Woolly will be exploring how we take care of ourselves and unwind. Woolly will be publishing articles and essays from best-selling authors and critically acclaimed comedians about how they cope with, you know, life. This is important information. Woolly will not be selling you magic crystals or delivering condescending lectures about how to be a better you. You’re fine the way you are. Woolly will also not promote any life-improving cures or treatments that make dubious scientific claims. The only scientific truth we advocate is thus: Sometimes it is comforting to have a nice sit. We’re also “Woolly Mag” on Facebook, the up-and-coming website that connects family and friends and makes them both really angry. We will also post Woolly stories on Facebook, but we will not write about politics. This may be disappointing to all the uncles in your life. We’ll be on Instagram soon, so get ready for lots of photos of my dog Morley because I am that kind of person. Woolly doesn’t have Snapchat plans but give us a little time—we’re getting an intern any day now. Feel free to email me to hear about my Google Plus strategy. I keep using “we” when Woolly is just me, my co-editor Theresa, a few writers, and my boss. My boss is very nice. She laughs at a large percentage of my jokes! I’d like to make the “we” in Woolly even bigger so remember to drop me an email, follow us, and let’s have the most important conversation in human history. That conversation is: What should I binge watch while I wait for my Thai food?